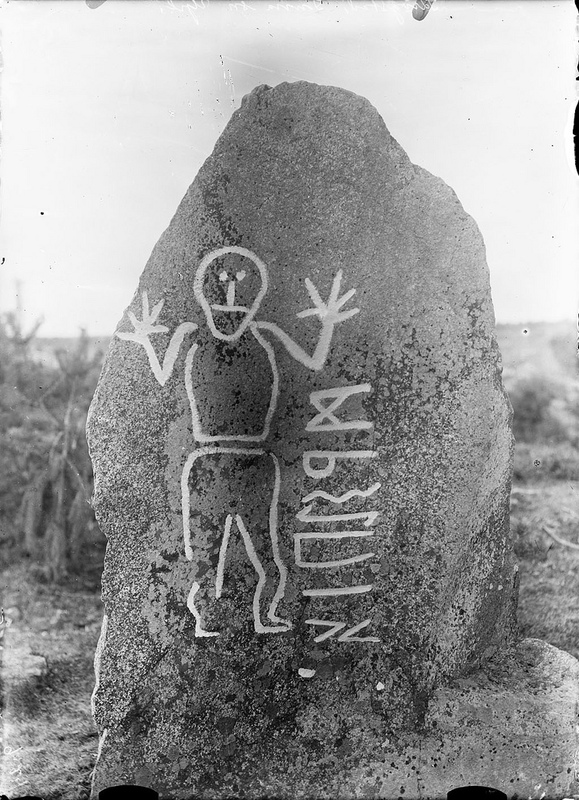 Rune stone (U 1125) in Krogsta. The oldest rune stone in Uppland and the only one with the elder rune alphabet. 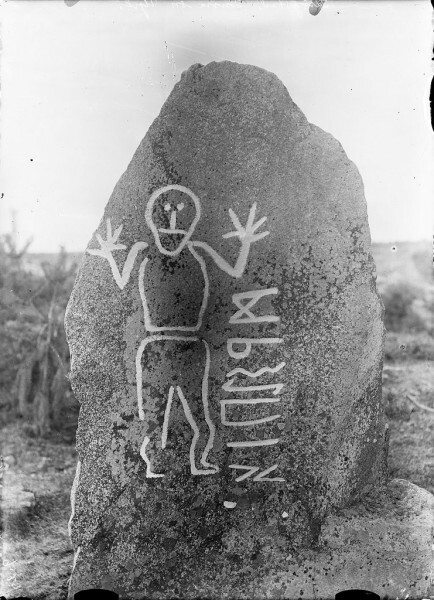 Rune stone with a human figure and an undeciphered inscription from the 6th century AD.